TAKE down a horde of killer robots, visit a future holiday spot across the other side of the world or peek over the top of a skyscraper without ever leaving the room. These are just a few experiences offered by FEVR, a new virtual reality arcade that recently opened its doors in Gatton. It's as simple as pulling a headset over your eyes and entering a whole new world. 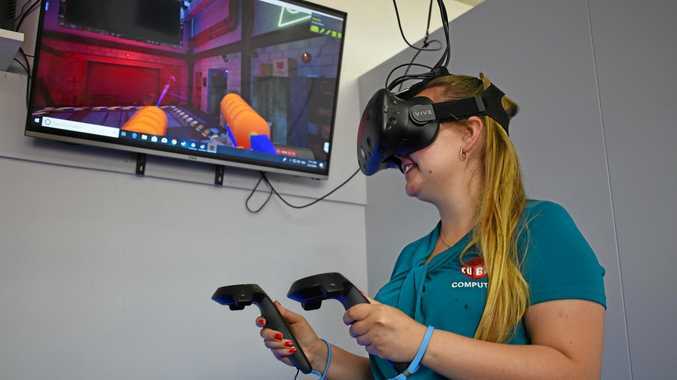 With Cube Computers moving into its new premises on North St in September, the business took the opportunity to bring a unique entertainment experience to the Lockyer Valley. Owner-operator Meachelle Roelofs said it was only the third of its kind in southeast Queensland, with others in Brisbane and Surfers Paradise. "Everyone says there is no entertainment in the valley, but no businesses are jumping on board to do anything because it's a risk,” Mrs Roelofs said. "I figured if we take the risk, and if it works, maybe some other businesses will jump on board and we might get some new stuff around here. "We want to do something different and this is more up our alley. The arcade has a top-of-the-line set-up with three HTC Vive virtual reality systems taking centre stage. There is room for the business to add another VR system or even a couple of racing simulators, depending on demand in the coming months. Anyone older than eight can give it a go, with some visitors already hooked and some regular customers in their 60s. FEVR has access to more than 230 games ranging in style from shooters to adventure and arcade but keep 30 loaded at a time with regular rotations to freshen things up. The reception so far has been overwhelmingly positive, with the headsets mostly booked out during the recent school holiday period. Mrs Roelofs encouraged the community to give it a go and support the unique venture to encourage other businesses to think outside the box. While shooters and adventure titles are popular with a younger audience, older customers have plenty to choose from too. Some games take you on an underwater dive and Google Earth offers the opportunity to walk down a street in a foreign country to check out a possible holiday destination. Bookings are best done online by visiting the FEVR website. "We have the couches here too because it's a lot of fun to watch. 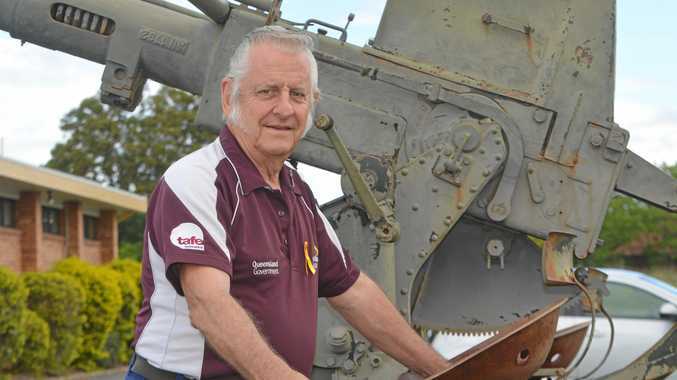 I sit here laughing most of the time,” Mrs Roelofs said. FEVR will hold an official opening this Friday and Saturday with prizes, demonstrations, giveaways and the chance to try out the technology for free.